Length 6'4" Height 38 1/2" Weight: 760 lbs. A full 2 1/2" thickness of selected hard maple layers, laminated, cross banded and held with moisture-resistant glue, then held at a constant temperature and humidity for at least four weeks to ensure proper moisture content. 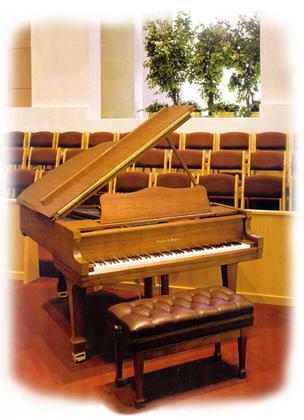 The bridges are hand made and pinned; manufactured of hard maple according to a special vertical lamination process with a high grade, quarter-sawn maple cap. 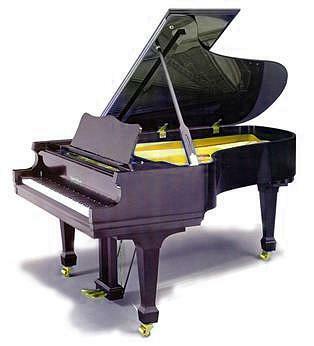 The treble strings and the core wires of the wrapped strings are of the highest grade music wire. The wrappings of the strings are solid copper wire. 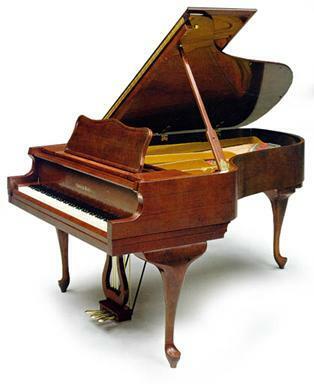 String length and diameter of inner and outer wraps are all carefully computed to achieve the very smooth inharmonicity scale so characteristic of all Walter pianos. The longest speaking length of the W190 Grand is 57 1/2". 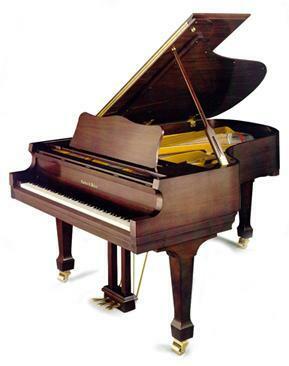 The Walter Grand contains the finest grand action, custom made by Renner for the W190 piano. 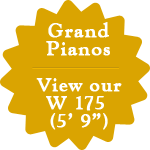 The Charles R. Walter W190 Grand has a TEN (10) YEAR FULL WARRANTY against defects in parts, materials and workmanship.